Satu won the Travel Blogging Contest and meet her in Porto! 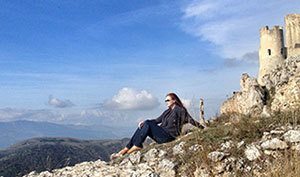 Join me to congratulate our travel writer Satu Vänskä-Westgarth of Destination Unknown, she won a travel writing contest “3 Things in the City I Love” hosted by Traveldudes, Velvet Escape and Wimdu. Satu’s post City I (still) love: Dublin not just tells a lot about Dublin, but also about Satu and her passions. Read an interview with Satu – and follow her travels, as they happen. Satu will also be participating the Travel Bloggers Unite Conference this week in Porto, Portugal, if you are heading there, make sure to say hello. Katja: Congrats on winning the writing contest, and thank you for featuring Dublin as the city you love. You’ve traveled in so many places and lived in several countries, was it difficult to pick one city you love, or was/is Dublin the clear winner? Satu: Thanks Katja! I have visited and lived in many great places but Dublin does have a very special place in my heart. I spent my university study years there, and I think the student days do a lot in shaping who you are. I also still have many good friends in the city and all around the country, hence I “have” to return there once or twice a year. Next trip is actually coming up in couple of months, can’t wait! Katja: Which other cities are in your top 5 to live or visit? Satu: Let’s see, top 5 list feels so restricting but some of my favorites would be Vancouver, Bologna, London, Paris and Ljubljana. Katja: You love the outdoors, is the biggest appeal of your favorite cities the proximity of nature (combined with city life)? Satu: For some of them yes. Vancouver, for example is a paradise for outdoor lovers as a whole range of outdoor activities is accessible almost at your doorstep. When it comes to Paris then, well, I used to live there for a little while and later my now husband proposed to me there so I can not but love the city. Sometimes on a city holiday you can do something totally new and different from your daily life, I did this on my recent trip to Bologna, where I learned to make pasta the Italian way and I absolutely loved that. And at other times, it is just great to escape the outdoors for a moment and London to me is just that. You can eat some great food, catch a show and then return to the country for the outdoors. Last but not least I chose Ljubljana in Slovenia as it is kind of small cozy capital with both seaside and mountains within 1,5 hours drive. You can’t ask more than that! 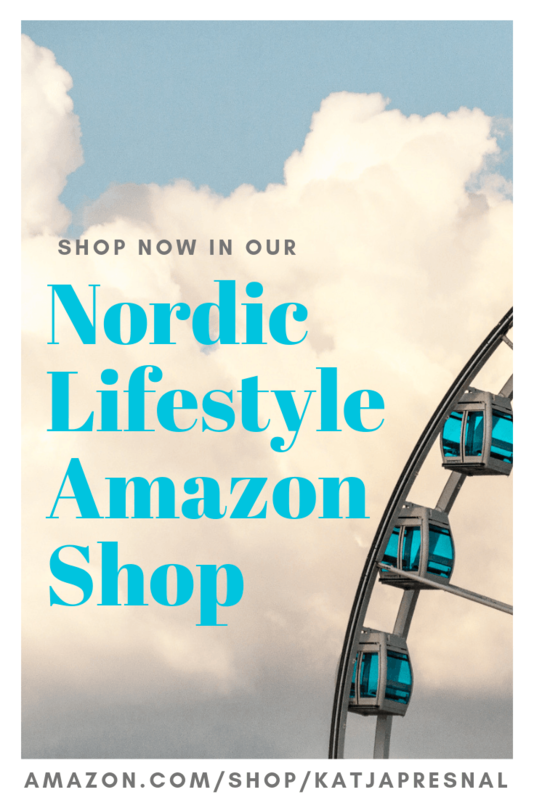 Katja: We have gotten a small taste of Destination Unknown here at Skimbaco Lifestyle, and you have been writing in Finnish for years, and now you recently just started an English blog as well, tell what kind of travel posts you will be covering there. Katja: What’s your “cocktail & dream” – what kind of drink and where you dream of having it right now? Satu: I could imagine myself drinking a cold caipirinha on a beach somewhere in Brazil, preferably at sunset with the waves softly breaking on the shore. As that is not going to happen right now, I think I’ll just sit on my balcony, watch the sunset and enjoy my drink while dreaming of our trip to Portugal. It’s not quite Brazil, but at least the language is the same! 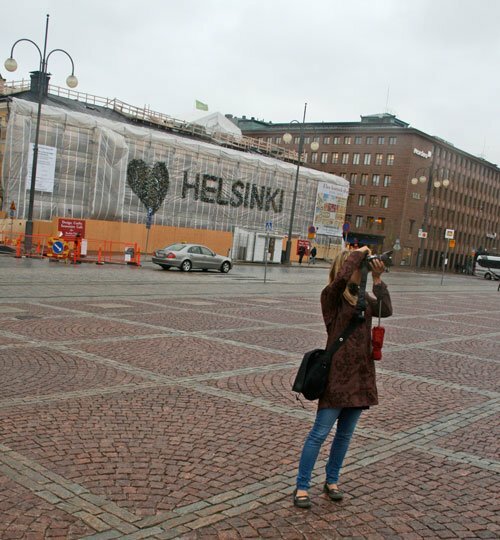 Picture of Satu in Helsinki, Finland, a few years ago when I met her the first time. Because this is what we travel bloggers sometimes do – we take photos of each others taking photos. Follow Satu’s travels as they happen on Instagram as ToDestinationUnknown and on twitter @SatuVW, and of course come back and read her Destination Unknown posts here at Skimbaco Lifestyle and in her own site Destination Unknown. Satu won a 800 euro voucher to Wimdu from the writing contest, and is already using her winning prize this week in Portugal. Wimdu is an online platform with a wide range of private accommodation, whether it’s a room in a shared apartment in Berlin or a New York designer flat, Wimdu’s range of over 50,000 properties in more than 100 countries ensures that everybody can find exactly what they’re looking for – attractive, affordable accommodation in exciting places around the world. Here is the full result list of the travel writing contest, read and enjoy a virtual tour to several great cities.